The Senna film frustrates me. More broadly, the hagiographic assessments of Ayrton Senna as driver and man that have predominated for close on 20 years frustrate me. Why is this? Well, one thing it isn't is reflective of is tribalism: I grew up hero-worshipping Ayrton Senna. And perhaps appropriately I did so with extreme intensity; something close to mania. But Senna was not the saint portrayed in the film or anywhere else, nor was he the perfect heroic racing driver claimed in retrospect. And worse than such claims being inaccurate they also sell him far short. Senna was much more - more complex and more fascinating is his contradictions and unique imperfections. Senna was often gentle, poetic, governed by conscience and humanitarianism; yet his F1 career was also characterised by astonishing ruthlessness and hard-nose, and an apparent inability to accept fault. Senna was supremely intelligent and rational - and surely no racing driver in history was as captivating, almost mesmeric, to listen to; yet he was also emotional, and capable of breath-taking spite, grudges and rages. 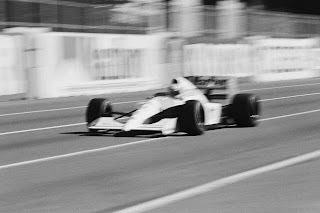 And the contradictions applied to his driving also: to watch Senna in action was to watch the most delicate, almost ethereal, command of a racing car. He also was clearly concerned, and frequently vocal, on safety. But as we know his driving sometimes displayed extreme crudeness as well as what appeared a disregard for his or other drivers' preservation when around rival cars, particularly when around that of Alain Prost. What he did at Suzuka in 1990 was reprehensible. Why though with all of these apparent drawbacks do I consider Ayrton Senna the best driver of my generation? I do because the flaws were all part of his unique tapestry which was also coloured by a quite extraordinary and inimitable driving genius. This genius manifested itself in that for as long as Senna was lining up on the grid, no matter what impediments he faced in machinery or whatever else, more than anyone else I've ever watched he simply could never be discounted. He was always capable of far transcending his hand dealt, and just about every time he did. We saw this most acutely in the 1992 and 1993 seasons, wherein his equipment was nowhere near the level of the rival Williams, yet Senna still won eight races - one in four - in this time. It further manifested itself on qualifying laps; Nigel Roebuck noted that there was something 'almost primeval' about Senna then. We also saw it on days that rain came down, such as his debut win in Estoril in 1985 as well as, quintessentially, at Donington in 1993, when he reduced the rest of the field to appearing tentative, slow. But in my view Senna's crowning glory was in Monaco in 1988. No, not that. The day before. Appropriately it was in qualifying. Yet even among his legendary qualifying efforts this stood above and beyond. It was like normality had been suspended as Senna time after time around knocked further tenths of his already unbelievable mark at the top of the timing screens, shaving barriers as he circulated with the car dancing on its tip-toes. 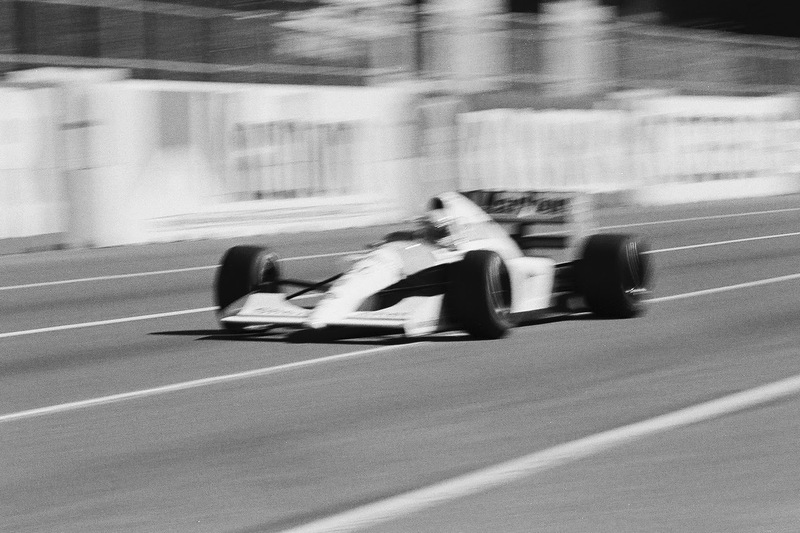 While Senna proceeded the similarly equipped Prost was routinely in the region of two seconds a lap slower. Then Senna - suddenly aware that he didn't understand the state he had got himself into - got scared and parked for the rest of the session. Later he would talk in extraordinary terms about how in achieving his other-worldly pace he'd got into a sort of out of body mindset, feeling like he was looking down on the car, that the car was on rails and the armco was a tunnel. This summed up what in my view makes Senna the best driver that I have ever seen. Whenever Senna drove you felt that you were watching someone summon new levels of consciousness, able to discover new territories of mental and physical possibilities in driving a racing car, areas that the rest of us couldn't possibly begin to understand. And for as long as F1 exists, indeed for as long as any competitive endeavour exists, there will never be another like Ayrton Senna da Silva. Complex, charismatic, flawed, brilliant. And - something we should always be grateful for - in F1 we had him. I have been selected as an official blogger for the Autosport International Show 2014 - Europe's largest motorsport show, that takes place at Birmingham NEC every January. The theme chosen for this year's event is 'The best driver driver of my generation', and this article is my contribution the show's blogger carnival on that very subject. More details on the Autosport International Show, including on purchasing tickets, can be found here, and you can also follow the show on Twitter. As I sit and fume about Vettels fourth title, I think its fairly obvious to all , even the anti-Vettel brigade, that the guy is something special. 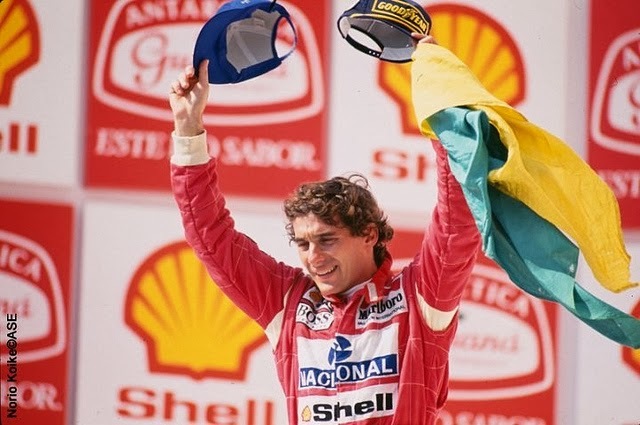 I guess what's not to like about him is that his persona comes across as a bit childish / disingenuous - Senna, Alonso, Prost, Schumacher - Winning was everything to them as well, what made Senna stand out more , other than his strangely out-sized charisma and eloquence was his admission that he would do anything to win at all costs. There have been times in Schumachers and Alonsos career where they probably would've liked to admit the same as Senna, but for whatever reason would not - it was almost like they wanted to believe and paint themselves as "Good" guys, not the ruthless winning machines they are. And this is what Vettel has taken to an extreme, he's created this image of a free spirit who is always cheerful and "Aw Shucks", but the way he went about "Multi 21" showed he's every bit as ruthless a racing driver as Schumacher, Alonso, Prost or even Senna - and his subsequent attempts to explain what happened (I didnt hear the team, I'm so sorry) was completely uncalled for, I actually liked him when he showed up at the next race and was more forthright. Anyway, here's hoping for a special 2014, Hopefully Allison will provide Nando with something special and we can watch Alonso and Vettel go at it. Agree on the Top Gear tribute, I much preferred it to the Senna film and found it much more balanced as you say. If nothing else, I don't think Bruno did a great deal wrong in the incident wherein Vettel collided with him! But I'm glad that the likes of Alonso and even Vettel haven't quite repeated the sheer ruthlessness of Senna (and Schuamcher). Or at least aren't nearly as habitual in their ruthlessness. I don't doubt ruthlessness helps people win but it's not something I feel is necessary to win, or desirable. As I sit and fume about Vettels 4th headline, I think its pretty apparent to all , even the anti-Vettel brigade, that the guy is something unique.